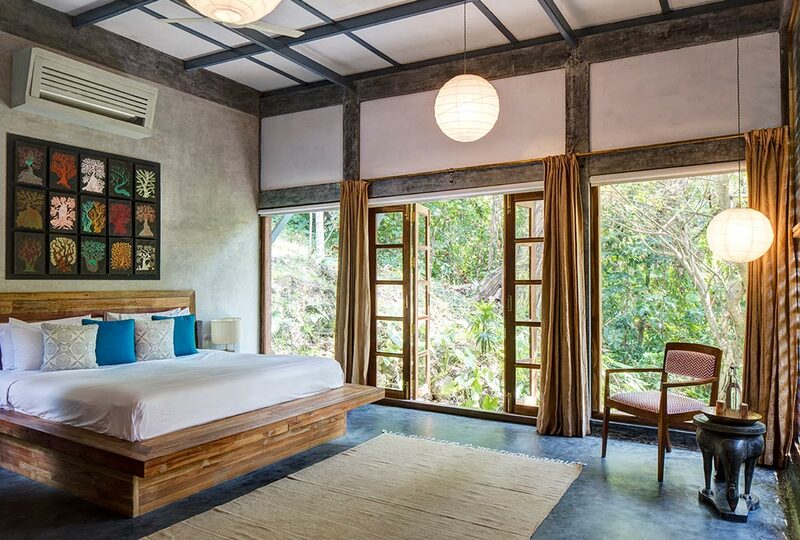 Jalakara is a game changer on the hotel scene in the Andaman and Nicobar Islands. It’s got everything that the others don’t have. It’s chic, modern, airy and sophisticated. The downside? Well… it’s not on the beach. It’s inland on the site of a magical banana and betel plantation. Does this really matter? To us, definitely not. Opening in autumn 2015, Jalakara’s British owners spotted a gap in the market. A private hotel with just six rooms which would deliver outstanding service, food and comfort in an otherwise limited field. And they’ve smashed it. Jalakara is heavenly. It’s the kind of place you want to whip your linen shirt out to wear with your Vilebrequins. Or your white kaftan with your Melissa Odabash bikini. It also invokes an irresistible romantic spirit. The kind that leaves you longing to hold hands and put on the occasional PDA. The rooms, all individually named, have elegance in common. 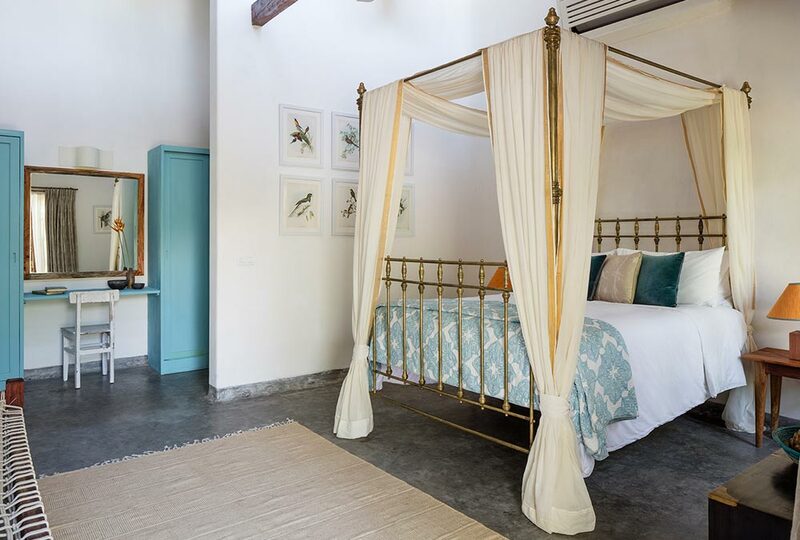 Thoughtfully created with real attention to the finishes, including sheer cotton sari curtains, block printed art on the walls and beautifully coloured bed throws, makes them stand out. 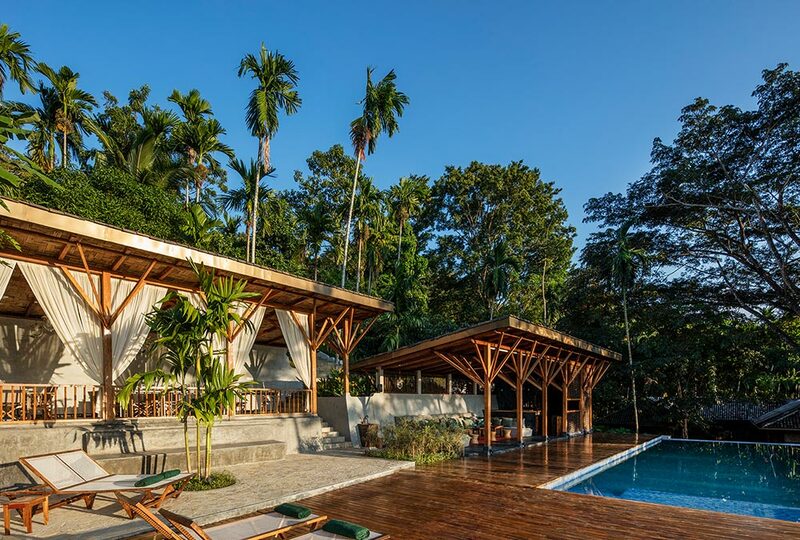 The communal pool, nestled on the slope below the main villa, is brilliant. 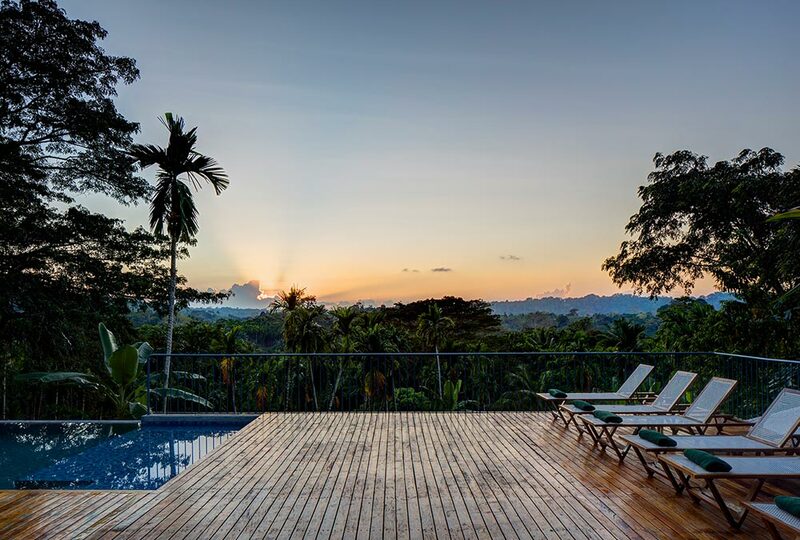 Perfectly formed and overlooking the jungle, it’s like heaven on earth. Bring your book and your imagination. There is no wifi or phone signal to distract you. And if ever there was a hotel to offer a dining experience as a reason to come, Jalakara is it. The menu is a masterpiece of creativity. 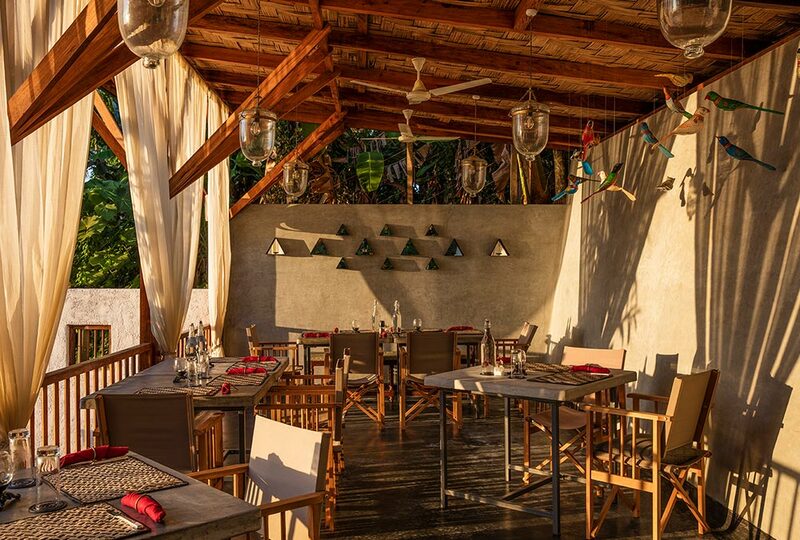 With its focus on local cuisine using local produce, you’ll find your tastebuds have never had it so good. The wellness regime on offer is second to none. Early morning yoga by the pool to in-room massages means a complete rejuvenation of body and soul is on offer. alakara is set back from the road up a fairly steep drive. There is nothing to walk out to other than rural hinterlands and the occasional local village stall. But why would you want to be anywhere else? Shruti, our host and hotel manager, was like an encyclopaedia of knowledge about the islands. She also ensured our stay was seamlessly brilliant and all of the little details were delivered perfectly. 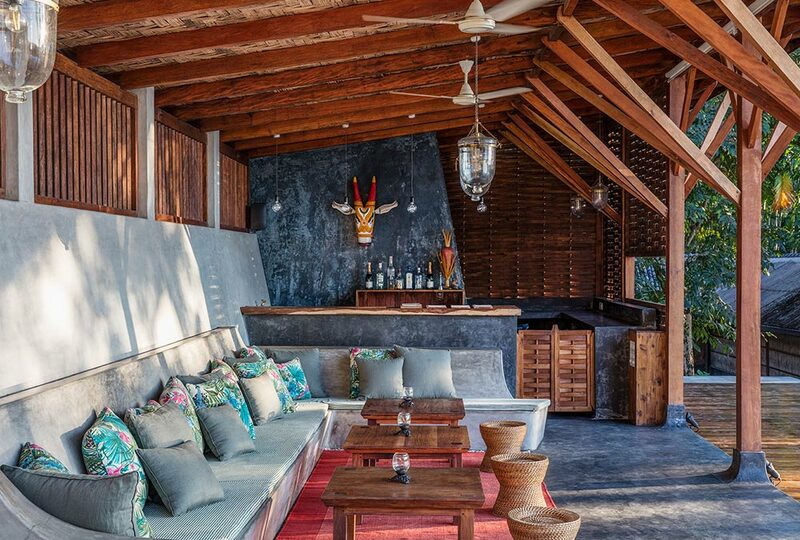 The ultimate hideaway beach experience. Cut off from the world and located beside arguably the best beach in Asia. Thatched and hardwood cottages, villas in simple, no-frills style but with essential mod cons like air con, hot water and decent beds.